In this post, I’m sharing some thoughts on The Art of Memory Making and Keeping, as well as my approach to documenting our Spring Break 2018 getaway. Making memories then sharing them in a form that memorializes these moments is important. Not only does it provide us with an enjoyable hobby, that results in a visually captivating tangible keepsake, and helps us to remember forgotten memories. 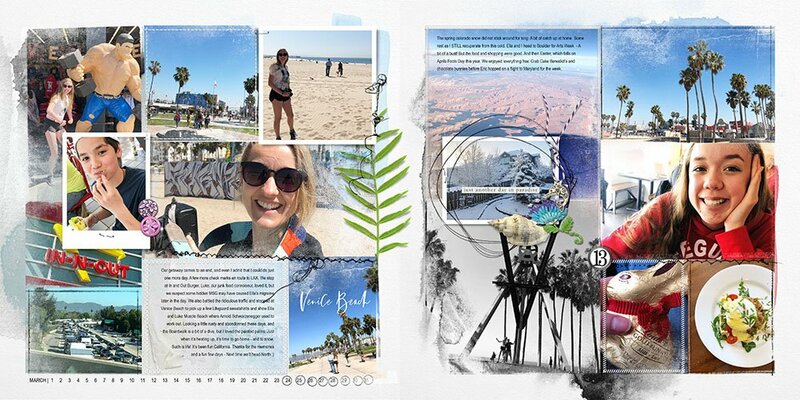 But there is evidence to suggest that the art of creating scrapbook pages might also cement those moments in our minds. 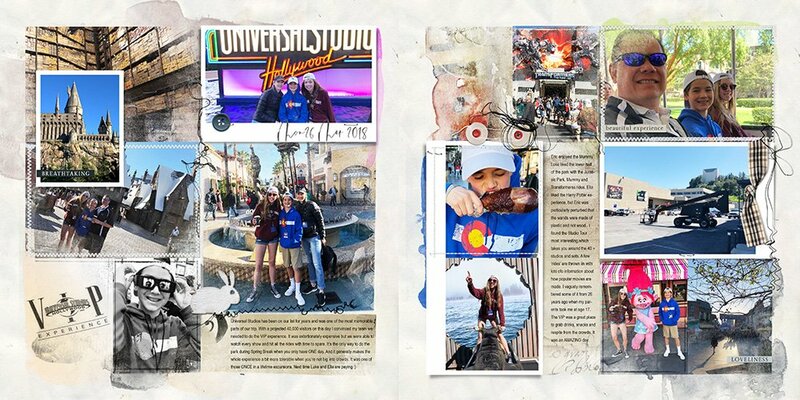 We just got back from a short getaway in California over Spring Break and it’s moments like the image captured in the layout below that I want to remember in days, months and years to come – The smiles and joy in making the last of childhood memories for these two humans of mine. We are wired to have a short term memory. It happens to be near impossible for us to remember everything. Embedding information into our long term memory is actually quite difficult, especially when you consider how many moments you experience in any given day. And this, by the way, happens to be true regardless of your age. 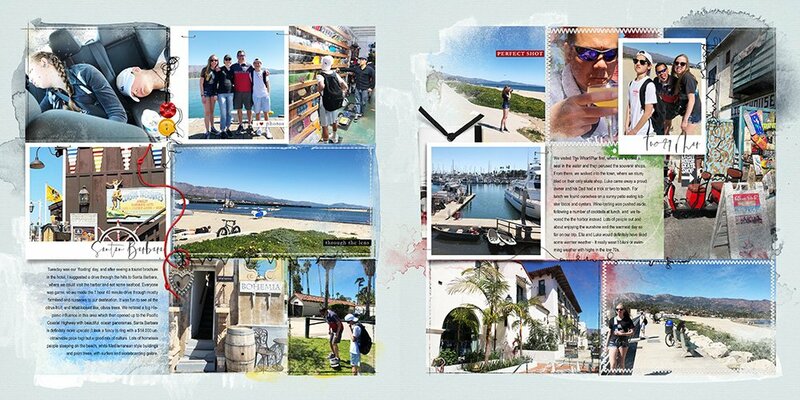 The layout below displays just a fraction of the moments we enjoyed, during our first afternoon on our trip, in Santa Monica. How many of these moments will I be able to recall from memory in a few months, let alone years or decades from now? You must use the information in order to remember it. It turns out that it’s not enough to just make a memory. In order to be able to recall it in the future, you must transition it from a short to long term memory position in your brain. Categorization (organizing the information into groups). Connection with information you are already familiar with. The act of repetition physically changes the brain. If information is repeated with enough frequency, new pathways are formed in the brain, enabling you to recall memories more quickly. The simple process of working with your photos and memories, then using them to create pages, provides multiple opportunities to revisit the memories. Capture the moment in a photo. Revisit the photo when viewed. Use the photo in a page. 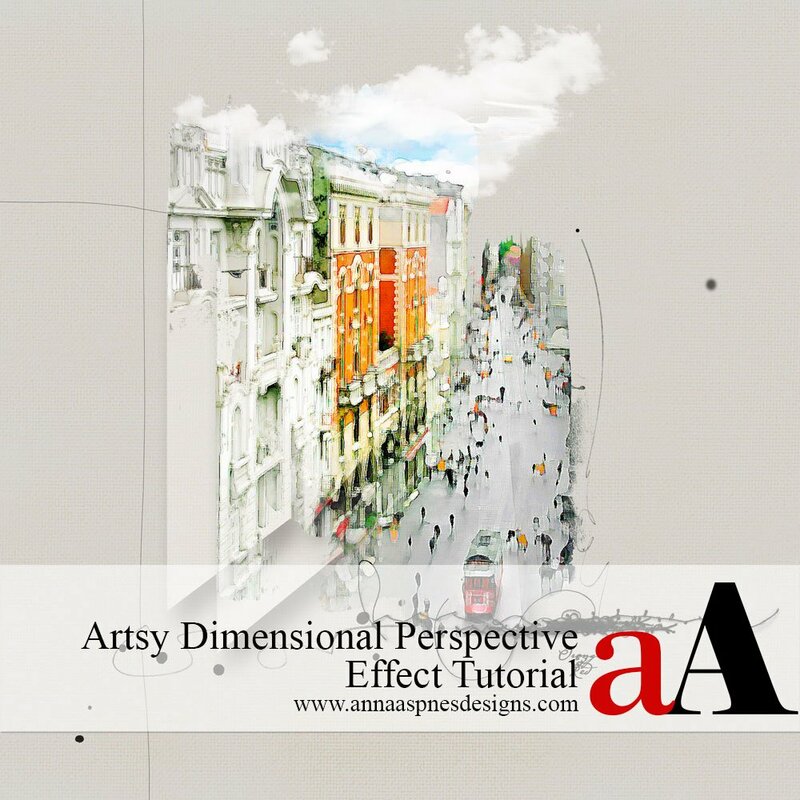 If you have taken any of my digital artistry classes, you’ll already know that I am a huge proponent of the idea that repetition deepens the impression in all facets of my life and teaching. Organizing information into categories is a great way to handle an overload of any kind of data. Categorization or grouping information according to commonalities and relationships helps us to process information. 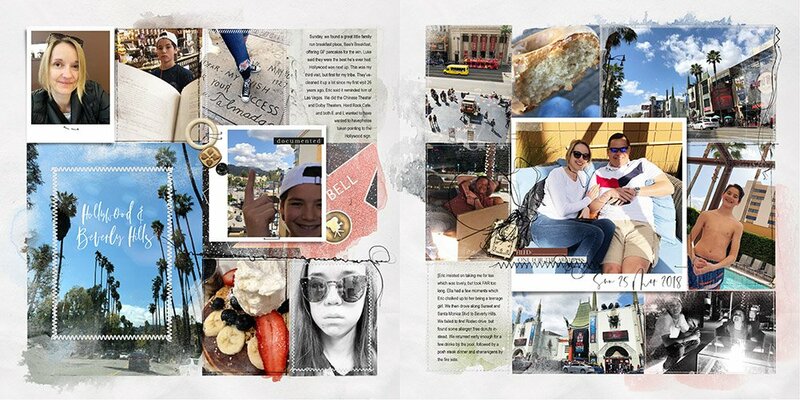 We do this in scrapbooking by organizing our memories and photos according to a sequence of events, their theme, or the date they took place, for example. We were in California for 4 days and so I organized my photos chronologically according to theme i.e. each event/day has it’s own page or spread. 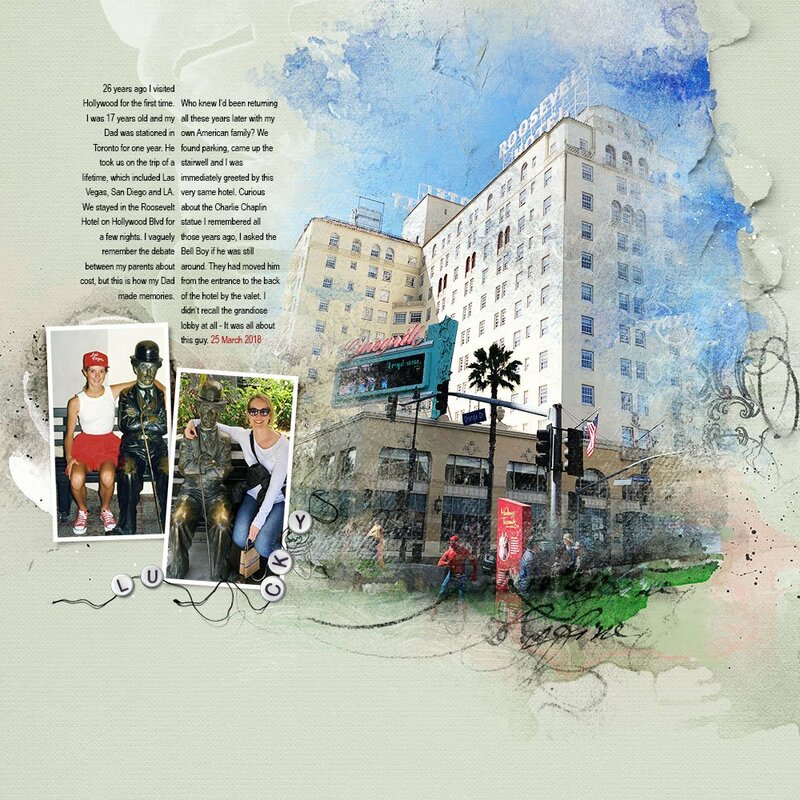 The photos are presented with supporting words and aA DigitalART supplies using the FotoInspired Teamplate Pack No. 2H, and will become pages in my FotoInspired Project 2018. We are connected and bound as Humans by stories. It is therefore no surprise that we process information best in story format. 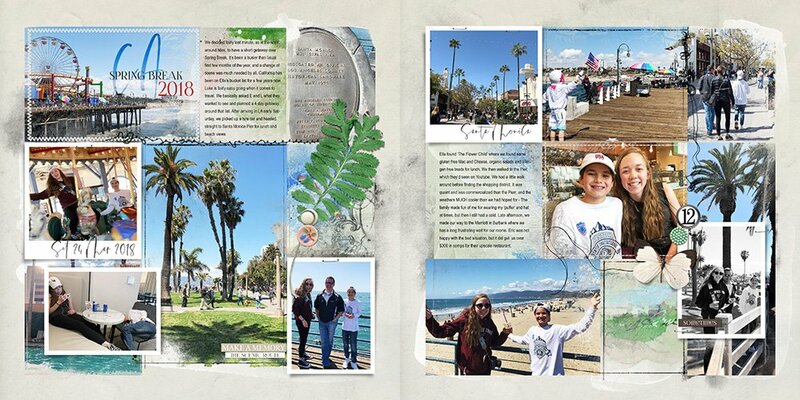 They also form the foundation of our scrapbook pages. A sequence of events is viewed by the brain as a pattern, in which one event leads to another with cause and effect. A story is easy to follow, creates connection with our own experiences and provides the repetition needed to form long-term memories. The memory keeping path to long term memories. 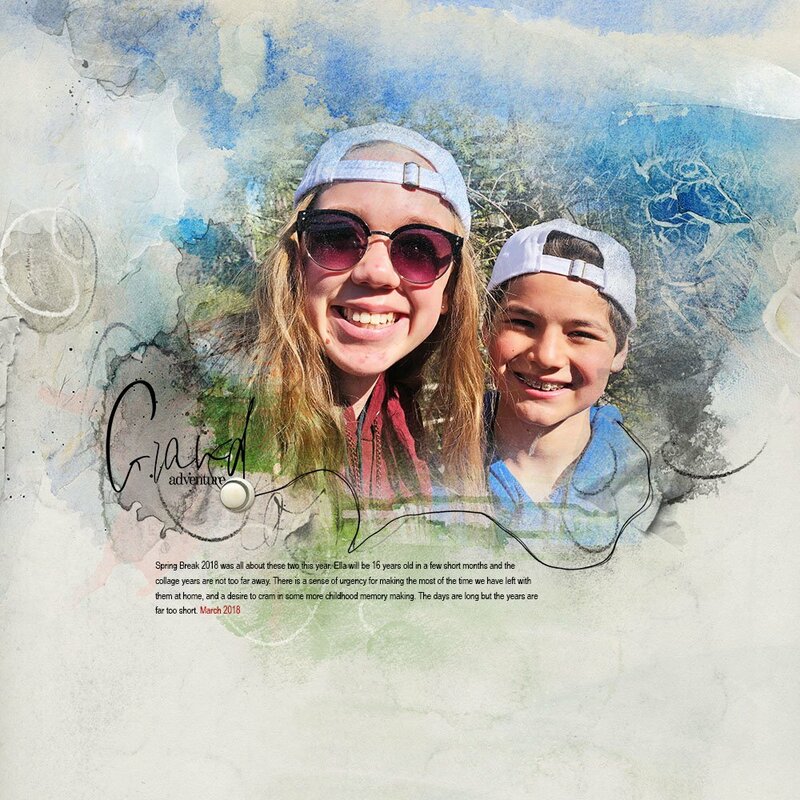 Scrapbooking could in fact help transition some of our treasured moments to long term memory. I have found this to be true during my 16 year memory making and keeping journey. I often remember events based on pages I have made, and I’m also equally surprised, by what what I can and can’t remember, about any given event. This became apparent during our day in Hollywood/Beverly Hills. We parked the car, and entered the street via a stairwell, directly opposite the hotel, in which I stayed with my parents when I was 17 years old (26 years ago). My Dad was stationed in Toronto, Canada, at the time, and this was part of a ‘trip of a lifetime’ visiting Las Vegas, San Diego and Los Angeles. Who knew I would end up marrying an American 6 years later and make the United States my home. Memories surrounding this first trip are very much connected to my age, familiarity and repetition. I remembered this statue of Charlie Chaplin thanks to a photo and the revisiting this memory over the years. He was – just in a different location. We had to go through the most grandiose of lobby’s so that I could be reunited with my old friend. Believe in the power of repetition, connection, familiarity and stories. 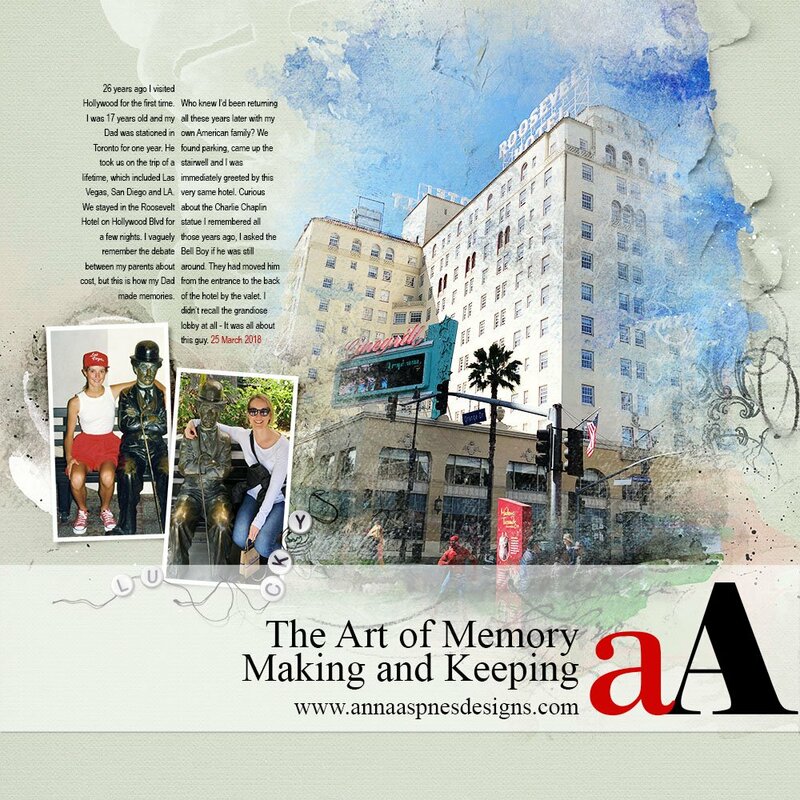 It all matters in the Art of Memory Making and Keeping. Gleaned from recent reading of 100 Things Every Designer Needs to Know about People.